My own personal group that i can post on if im bored! Oy there M8, ok sorry for that, Hi! 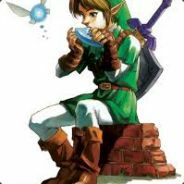 My name´s LinK(Dylan Link) and i like to play Ze Game´s! I play TF2 mostly and i´ll still play it for a long time i think. On this group i will just post stuff like me wanting to play with some peep´s or just random stuff like that. It´s open for everybody but please be friendly to each other! You can apply for Moderator but i will have to trust you, if you´re on my friend´s list you can also apply for Admin, you can also apply for admin if you have been a mod for 1 month. That´s it for now i hope you have fun on here! :). "I like shooter´s and i also like roleplay-type game´s like Borderlands but also game´s with a good story. So here are some of my top pics for Game´s!"